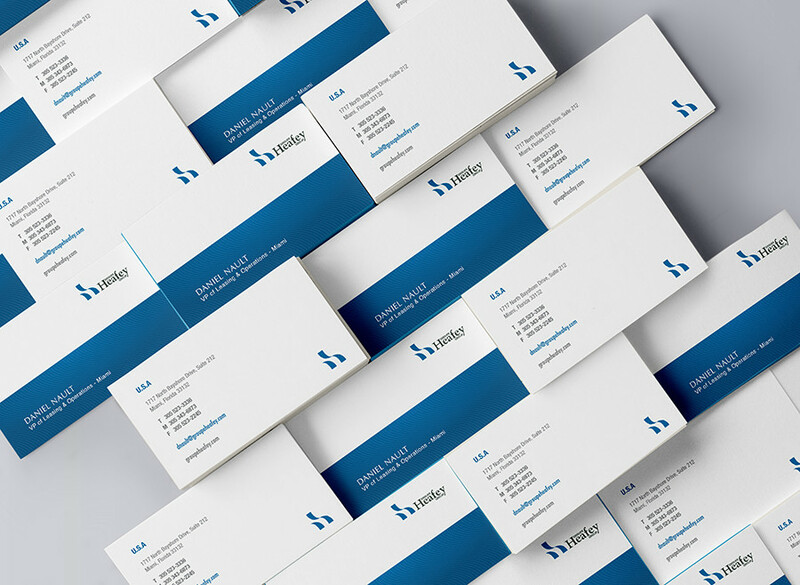 The Heafey Groupe reached out to us to come up with a new look for their stationary. Here is a sample of the business card design we created. Our focus: A simple, yet appealing graphic design and a high-quality printing job.